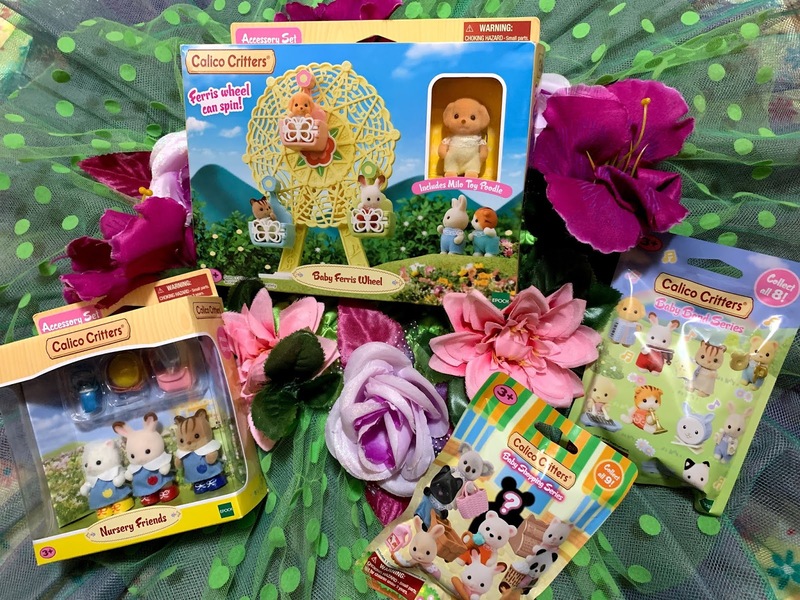 We Love ALEX Toys! Being a Crafty Momma, I am very Happy to have passed on my artistic side to my little Diva. 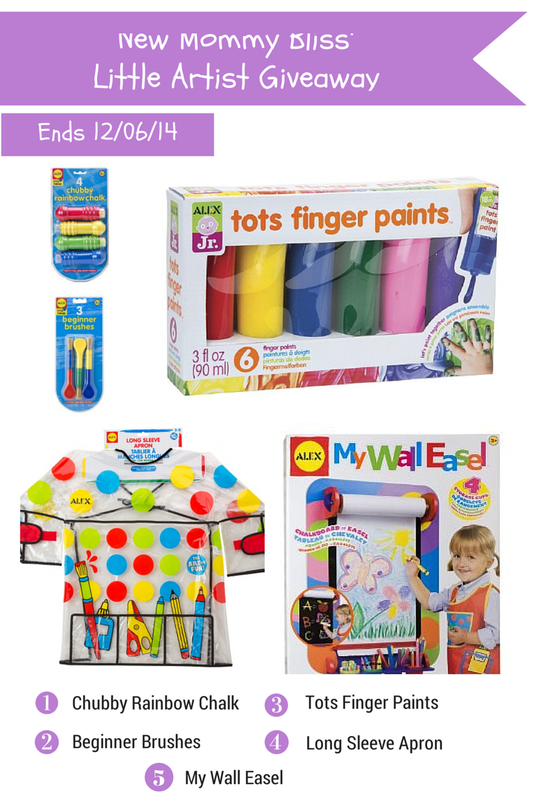 For our 2014 Holiday Gift Guide, We were sent: My Wall Easel, Chubby Rainbow Chalk, Tots Finger Paints, Long Sleeve Apron, and Beginner Brushes. 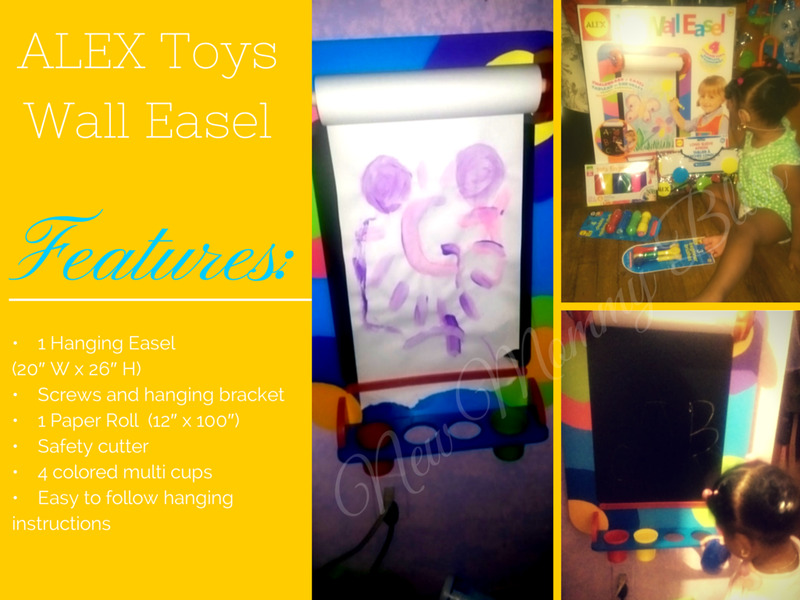 The Alex Toys My Wall Easel can be hung on any wall surface to create a fun and colorful place for your budding artist to get started. It comes with a set of screws and wall anchors. To hang the wall easel, simply screw the support bar to the wall and then slide the easel down onto it. Super quick, Super simple! You can use it as a chalkboard or use the big paper roll (included) at the top for drawing, painting, or anything else my diva's heart desires. When we opened it up, I handy Gabby one of the Chubby Chalks and watched her start drawing. It wasn't showing up for us and when I looked at the chalk it actually had black from the board on it. It worked better on the paper, than the board. The Paper roll is obviously our favorite Part. It slides easily under the red cutting bar at the bottom to stay in place and then rips right off. I actually had no Idea that that's what the red bar was for, but now that I do I am happy to say it isn't Sharp AT ALL! Perfect for cutting paper, doesn't cut kiddos. It comes with 4 Plastic cups for holding Paint, water, markers, crayons or whatever your kids want. The Beginner Brushes we were sent are perfect for the budding little artist. They have an easy grip handles that are great for Toddlers! Gabby Loves them and the brushes are natural and Thick to help them create nice Bold Images! The 4 Chubby rainbow chalks are Two-toned chalks and come with Handles to prevent little hands from getting super messy. These along with the Beginner brushes are from their preschool line and I love that they keep toddlers in mind. They work amazingly on some chalkboards, sidewalks and even Papers! I'm sure these will last us a while since each holder is filled to the brim with Chubby Chalk. The Long Sleeve Apron is GREAT for children ages 3-8 and covers every inch of your child that is bound to get dirty. My daughter obviously would not wear it and I'm still trying to figure out why. My Niece and nephew however, did not mind wearing it as long as they could try out Gab's New Wall Easel. The Apron comes with pockets for the kids to place their different art tools when they want to have them close by. The Material allows for extremely easy clean up with the use of a damp cloth. No more Dirty shirts! Lastly, The Tots Finger Paints! My daughter HATES having her hands dirty and always has since 12 months. I tried to get her to paint momma a picture using her hands and she decided it was best to wipe her hands clean on me. Thankfully, these paints come off on some machine washable clothing. They come off of hands pretty easy too! They are packaged nicely in Tubes with a cap. Makes for a great rainy day activity and if your child's like mine and refuses to have their hands Dirty, they work great with the brushes too. my kids are the artists in our family! I'm actually the more artsy one in the family, but the kids love painting with me if I initiate the messy fun :) nice giveaway, thanks for hosting! My twin girls are the artist but my son is the constructor. 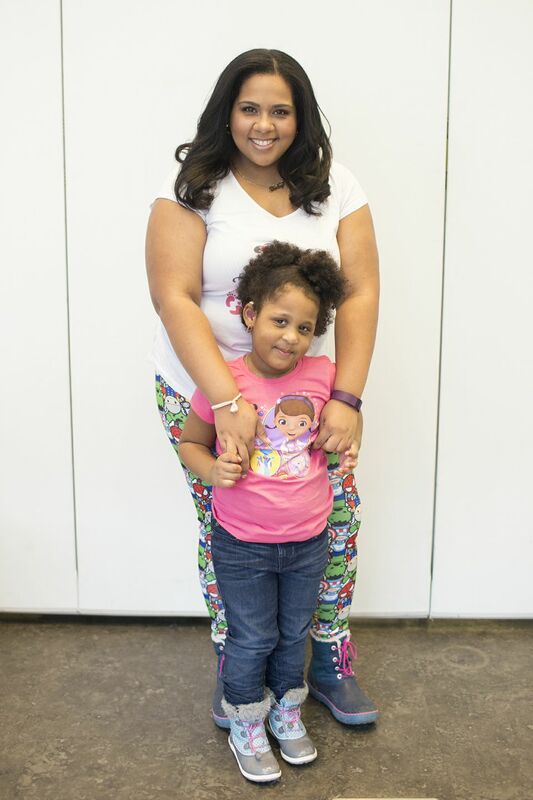 Both of my girls are but my youngest I would say is more so. My 6 year old wants to be an artist when she grows up! She spent all day writing and illustrating a book! This would be right up her alley; and i'm sure she'd share with her two little sisters! My almost 4 year old daughter loves anything to do with arts and crafts. She loves to paint especially! My 8 yr old son! I'm hoping my little granddaughter is the artist in our family....the rest of us just don't have it. I am the painter in the family and hoping to pass on the love to my son! My son is a pretty good artist. My 4 yr old daughter. I have a few in my family. the one I am thinking of for this is my nephew. My grandson is the the artist in my family. He loves to draw and he is only 3. My husband likes to draw and my oldest enjoys painting- I can hardly draw a stick figure on the other hand. My youngest son is the artist in our family. My daughter and I are the artists. My nephew is the artist in the family. My four year old son is the artist in my family!! My oldest son is the artist in our family! thanks for te opportunity to win! My daughter is the artist. My son and daughter are the artists in our family.